MASTRACK gives you the ability to keep track and protect what is important: your business, family and valuable assets. 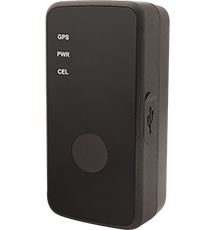 This easy-to-use plug and play gps tracker requires no professional installation and no wiring. 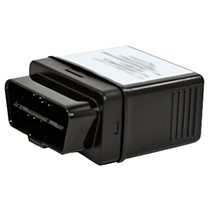 Simply plug the MT-OBD live tracking device directly into the OBDII port, which is located under your dashboard, and you're ready to go. Optional battery backup version allows the unit to keep tracking and to notify you immediately if the device is disconnected. This easy to use battery operated device is small enough to fit in a pocket or purse. 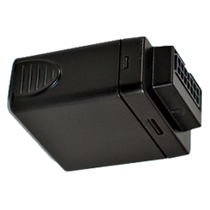 With a highly sensitive GPS antenna this portable tracker device is able to produce accurate information. The optional 15000mAh Power Bank Hibernator case containing a long lasting Lithium Ion battery allows for up to 60+ days of continuous tracking on a single battery charge. The Hibernator Case is water, dirt and crush resistant and is equipped with a high force magnet allowing the case to be mounted under a vehicle or to heavy equipment or other metallic surfaces. Founded in 1999 based in the U.S. and owned and operated by U.S. workers, MasTrack provides the most reliable and affordable GPS Tracking products and services to individuals and families as well as to municipalities, government agencies and small and large businesses alike. You may have purchased your devices with on demand locations. This allows you to locate your device at any time by the push of a button. Since the on demand service does not include any automatic reporting, many customers opt to purchase a service plan. MasTrack.com is based in the U.S. and completely owned and staffed by U.S. workers. The company was founded in 1999, to meet the unique needs of museums, auction houses, art collectors, and security personnel tasked with the transport of high valued cargo. The transportation of high value assets across the country needed a reliable and simple solution for GPS tracking. MasTrack was born to meet this need and quickly evolved into a well-established, independent GPS tracking company providing easy to use GPS solutions for all walks of life. Specializing in, individuals and small business alike MasTrack takes a service that was once limited to large fleets and makes it accessible to small businesses, families and individual customers. With an easy to use platform customers are able to track their vehicles and monitor driver behavior in real time.